These days, a growing number of Startups and projects related to crypto currencies are popping up at large scale. Some of these projects are heavily directed to the bitcoin community while others are innovative projects simply trying to use and develop the potential of the bitcoin protocol technology and decentralized applications, turning them into real businesses enterprises. Alex Preukschat is a Bitcoin entrepreneur who is fully committed in a project that it’s specially designed for the bitcoin community. Alex was always fascinated by comics and a while back ago he found out about bitcoin. He has studied money for a long time and wanted to give is best contribute to the bitcoin community. 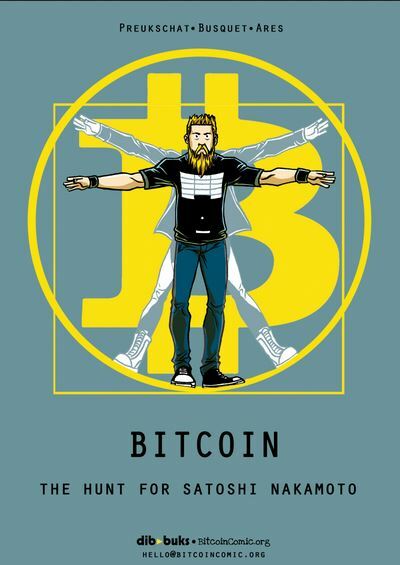 He got the idea of making this comic book where he could tell a short story of bitcoin. So he started by trying to carry these two passions into this new project designing it along with educational purposes. To help his project get the necessary funding, he celebrated an agreement with Swarm, a Crowd funding platform, but the main reason for the crowd sale was to get the community behind it and then go for the comic and mainstream world. Bitcoinist recently caught up with Alex through Skype where we had some time to talk about The Hunt for Satoshi Nakamoto. Who is in the team behind the “Bitcoin: The hunt for Satoshi“? We are a team of three people. 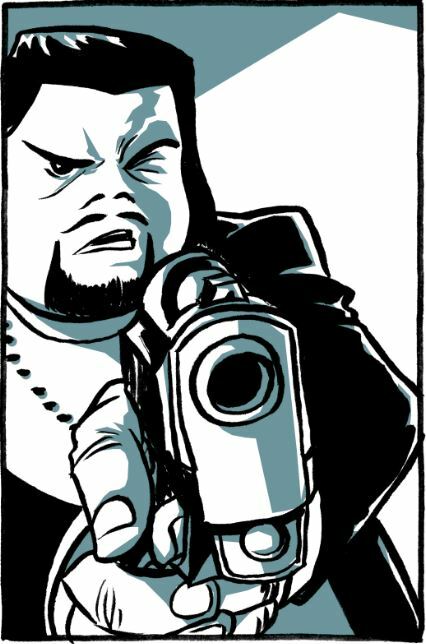 Josep Busquet and myself have co-written the script and José Ángel García Ares did the illustrations. I met Ricardo, our Spanish editor from Dibbuks, two years ago at The Angoulême International Comics Festival (the largest Comics festival in Europe, and the second biggest in the world) and in October 2013 I proposed him the outline of what I was hoping to do with a comic book about Bitcoin. Ricardo liked the philosophical principles behind Bitcoin immediately and introduced me to Josep to work together on the script. Josep introduced José Ángel to the project and that is how we completed the team. 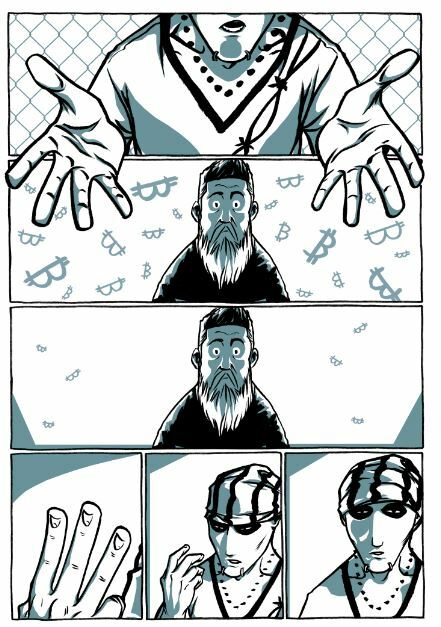 Josep is a well-known script writer and illustrator in the European comic book scene and he focused mainly on creating a story line that would help us to reach as many people as possible to introduce them to the idea of what Bitcoin is. My responsibility was in making sure that we covered the elemental aspects of what Bitcoin is and introducing interesting references to cryptography and the cryptocurrency world along the comic book. José Ángel did an amazing job with the illustrations and character creation and he is a very talented artist with whom it is really fun to work with. 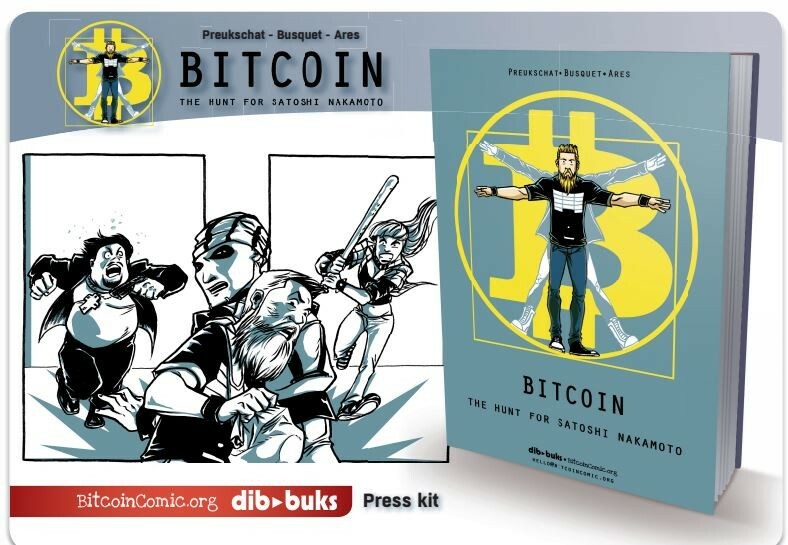 Ricardo is the owner of Dibbuks, a Spanish comic book publisher, and he got so excited with the project that for the launch of the comic book he will start accepting bitcoins as a method of payment for all his comic book titles online. We hope to continue convincing more people we get in touch with along the way to accept bitcoins as a payment method. Obviously the comic book will also be available on our website, www.BitcoinComic.org, using bitcoins. When will the comic be released? The graphic novel “Bitcoin: The hunt for Satoshi” will be released in Spanish and English by November 2014 in digital and paper format. We are currently also talking to publishers in Poland and Norway who are likely to buy the licence and were introduced to Uis via the Bitcoin community. The great thing about comics is that once you have created the story the translations and printing are relatively cheap. If anyone is reading these lines we are still looking for publishers in all of South America and the rest of the world and you can reach me via hello [@] bitcoincomic.org so please introduce us to more publishers. How did you get to swarm to get your funding for the project? We met in London at Coinsummit in july 2014 where I did my pre-presentation. We both liked each other and what we were doing and decided that BitcoinComic.org would be the first project to crowdfund with Swarm. How many copies are going to be released? The Spanish edition will have 1500 copies. The Polish around 1000 and in English it will be close to 1000 at least. Physical, electronic or both formats? We will publish in paper and digital both, the English and Spanish versions. The digital version will be available via Comixology. For Poland and Norway it will probably be paper only unless the local publishers decide differently. You are raising funds to complete the project, but what would happen if the expectations are not reached? Our main objective with our graphic novel is to give bitcoiners a tool to educate their families, loved ones and colleagues about the virtues of Bitcoin. We believe that to create a better society people need to understand money and there is no better way right now to explain money that Bitcoin because it is one of the most exciting things happening right now. The main reason why we are running the crowd sale is to make the Bitcoin community part of this and let them take ownership. With funds we have received so far of 16 BTC (of 42 our target) we already have enough to print the English edition. It will be sent to any country or there are limitations? In principal for the crowd sale we will be shipping to any country, but our main markets are Europe and the USA. What’s the initial price of the comic? In Spain it will be sold for 16€, about $20 a standard price for hard cover comic books in Spain. Could you explain us about the selling process with all the different coins in SWARM? (ComicBook coin, ComicSpecial coin, ComicCoins)? We are the second project that will be crowd funded in SWARM (after SWARM itself) and we hope to pre-sell 1000 comic books in English. We have a list of awesome rewards lined up going from a copy of the book redeemable with COMICBOOK COIN, to a special limited founder edition redeemable with COMICSPECIAL COIN. All buyers for the different rewards will receive ComicCoins depending on the type of reward they choose. The ComicCoins will allow them allow all holders to vote on the title and cover of the book something we believe will make it quite fun also. The SWARM team and ourselves a putting a serious effort into this campaign to create a unique experience for all those that will participate. What voting rights and intellectual property do you acquire when you buy through Swarm? We are planning to offer ComicCoin holders that 5% of any derivative intellectual property net revenue generated in the next 5 years will be shared with them. This means that if we ever sell the right for a movie for example 5% of net revenue could be shared with holders of ComicCoins if it happens in the next 5 years. After the first batch, will it be sold online or in physical stores? The Spanish edition will be shared via Dibbuks.es and in bookstores around Spain. The English edition will only be available to buyers of the crowd sale and it is also one of the reasons why many Bitcoin community members around the world are participating because they see it as a collectible. In the end of our conversation Alex stressed that since the beginning he had tremendous support from the Spanish community and the Polish community has been especially helpful and supportive since they also wanted to see the book edited in Poland. With his project, Alex, manages to show the bitcoin community the proven potential that culture and artists behind the bitcoin scene do have in the mission to unveil the prevalent negative perspective people still have about bitcoin. Let’s hope that more initiatives like this may arise in the future. 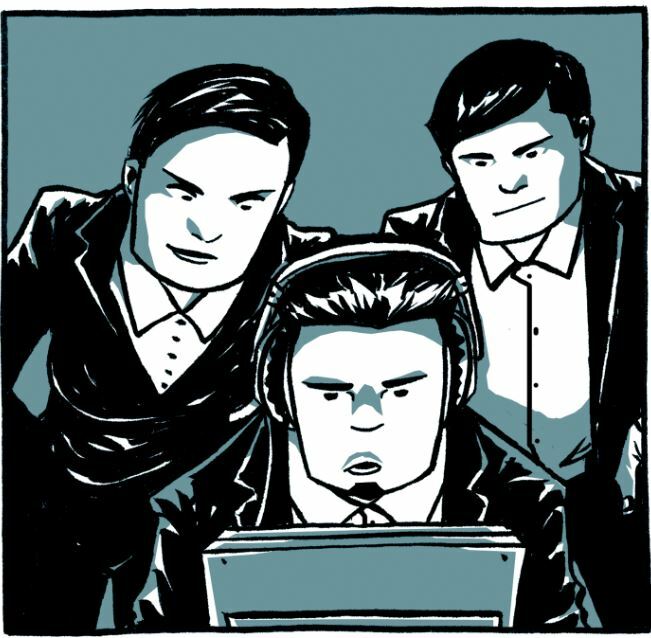 To support The Hunt to Satoshi Nakamoto please visit bitcoinComic or go directly to the crowd funding Page.